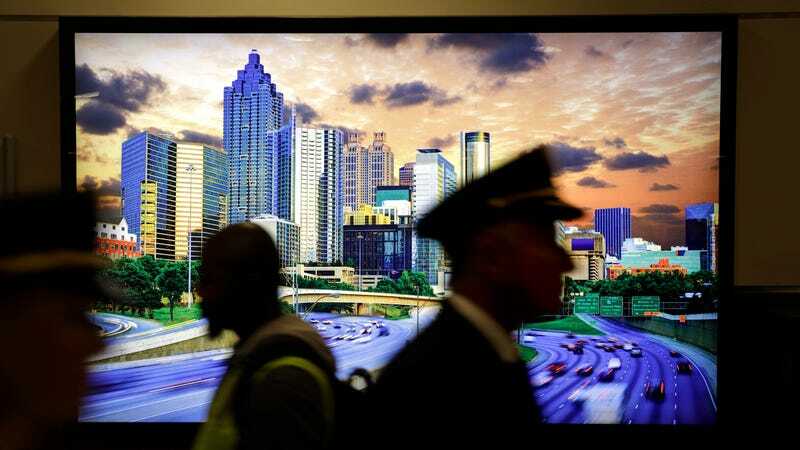 An image of the city skyline at Hartsfield-Jackson Atlanta International Airport. City officials in Atlanta, Georgia are still trying to recover 10 days after a ransomware attack on municipal computer systems hit at least five out of 13 departments, knocking out some city services and forcing others to revert to paper records. The FBI and Department of Homeland Security are assisting Atlanta officials, but it’s not clear to what extent they can help. As Reuters noted, the FBI “typically discourages ransomware victims from paying up,” but former DHS official Mark Weatherford said that might have been one of the few options for Atlanta to avoid so much hassle. In any case, ransomware attacks are rapidly expanding, and one of the reasons the FBI discourages paying up is that it might encourage attackers to hit more vulnerable systems in the future. According to NPR, the FBI received 2,673 reports of such attacks in 2016, and over 3,000 last year.